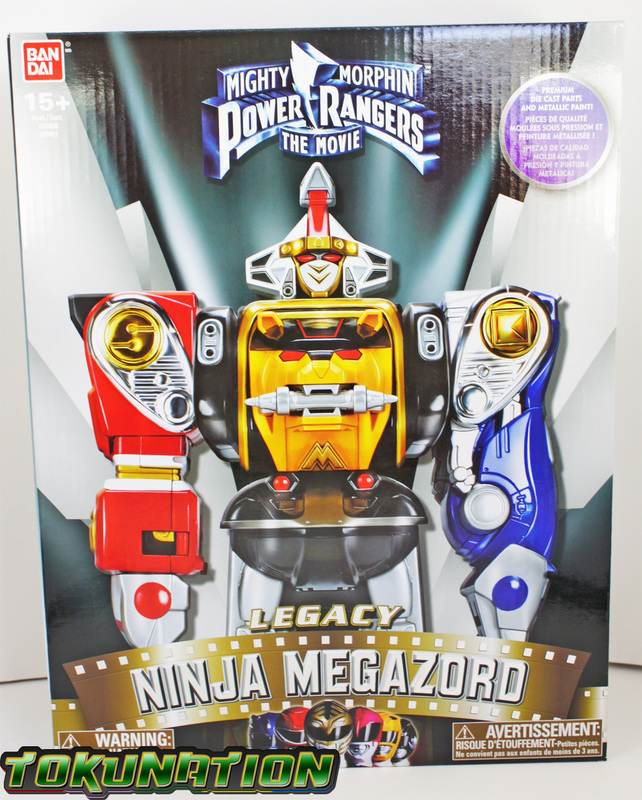 Easily one of the most anticipated Legacy Megazord releases since the Legacy Thunder Megazord, we now have our hands on the Legacy Ninja Megazord! We've taken over 100 images of this bad boy (seriously, we deleted probably 30 images because that would just be so much) and the only thing bad about it - is the attitude. 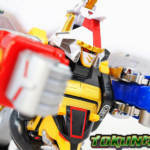 We review the whole figure - every single Zord attachment - and throw that Falcon thing on its back too! Check it out below! This is probably one of the things I didn't like about this thing. I get the reference to the original movie but with movie toys coming out soon you're dangerously close to risking some confusion. Granted - no child or adult will be disappointed with what they get but you get the idea. 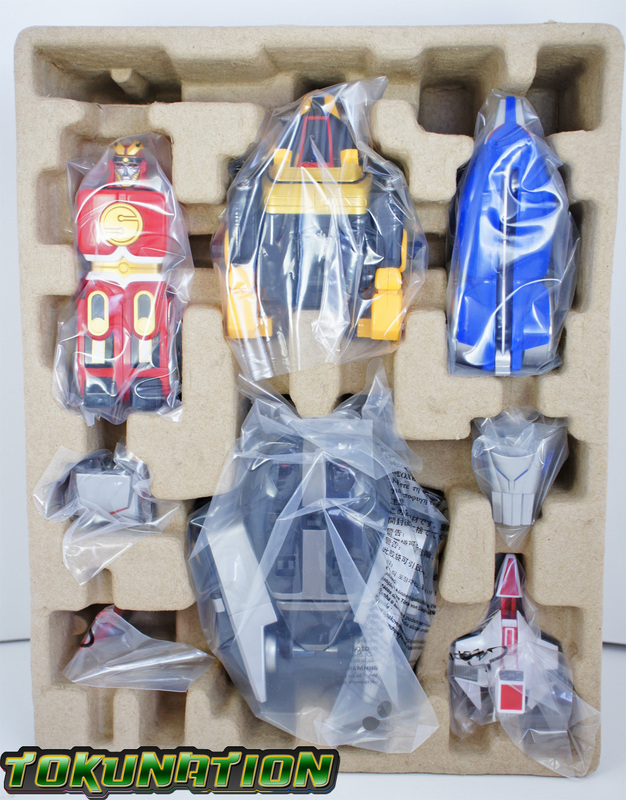 It's the same packaging for the Falconzord, mostly, but with the Ninja Megazord on the cover. MOVING ON! The sculpting on this is very good. The face looks awesome. 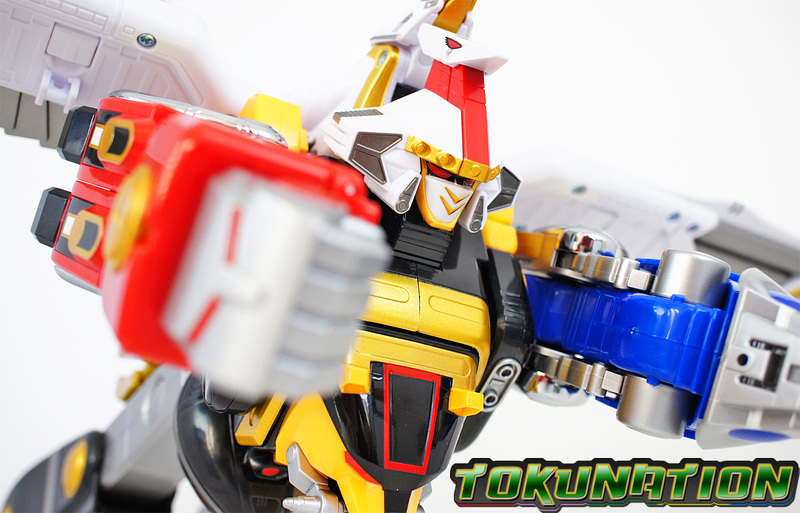 The arms have complete up-down rotation, though there is no swivel to raise them upwards in a side-to-side motion. There are elbow joints, and a 360 swivel in the wrists. 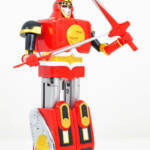 He comes with his two weapons (painted on one side only) which allows for a unique range of articulation with the weapons in-hand. There's also a swivel right under the shoulder which is meant for transformation in to the arm-mode but adds to the articulation for holding the weapons as well. The legs can be depressed one at a time as well as together. 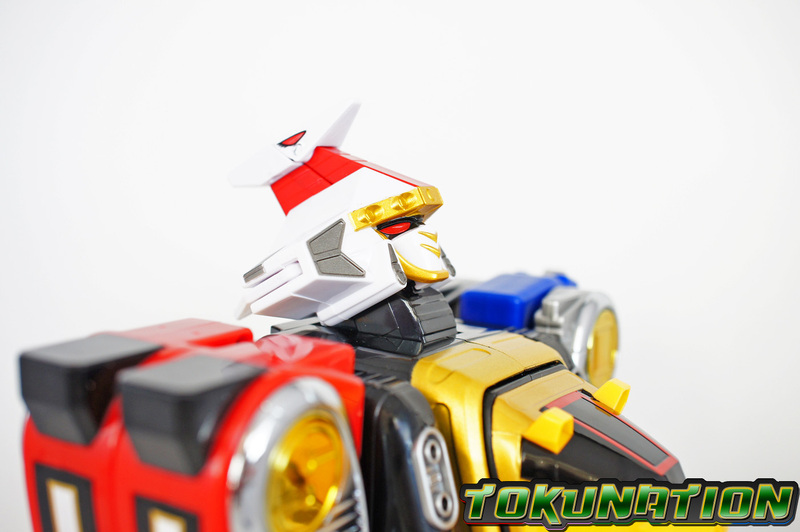 This allows for an actual "bend" while in Megazord mode and it's AWESOME. For being the "Red Ranger" zord, this thing came out great. It also has the "ape fist" attachment which fits snugly on to the head of the zord. It does have diecast in the "silver/gold" portion of the leg. 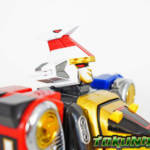 This allows for some weight but not enough to hinder the figure when in Megazord mode. 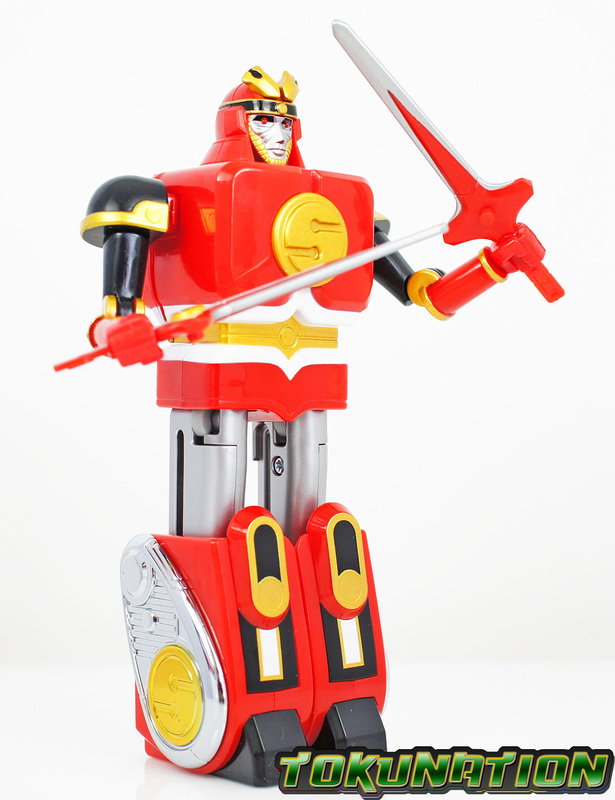 Probably my favorite zord of the batch. The mouth opens and closes and the back legs have a ratchet hinge that allows for some backwards and forwards movement on those back legs. The front legs have a joint in the "elbow" of the wolf, allowing for pouncing-like poses. The tail simply pulls from the back of the wolf. As with the Ape Zord, the metal is in the silver/gold chrome portion of the back legs and doesn't hinder any stability in Megazord mode. 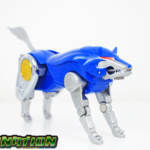 It comes with the Wolf Fist attachment which fits snugly on to the Wolf's head in Megazord Arm mode. This thing is little but highly detailed. The paint applications are great and the sculpting is spot-on! Vents are sculpted and painted with the exception of the back of the zord. 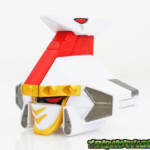 It has a peg underneath that folds up and down for Megazord head attachment. This thing is light - there is no metal - and it really feels like you're holding a piece of plastic origami. 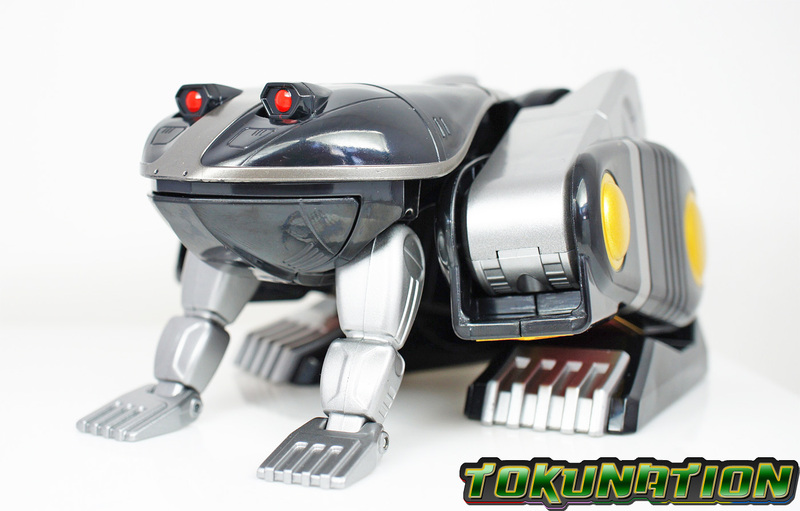 This is the weakest of the individual zords in my opinion. The plastic is hallow and the front legs of the bear have no support when in bear form - they wibble and wobble freely. The back legs are connected to the back of the bear and they move as one solid piece with no joints built in. 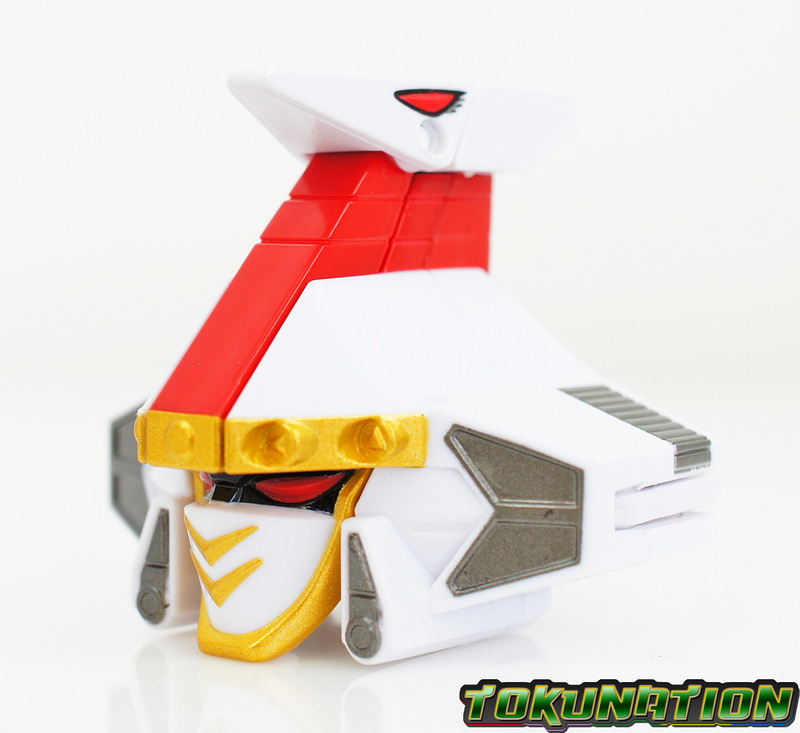 You can pull out the chin-strap and put it in the bear's mouth when in Megazord torso mode, which is cool. But because of the transformation there's a glaring hole behind the bear's head that allows you to see through to the other side. I get that it's part of the transformation but holding it just has you feel that it was made on the cheap and cheap. Nice sculpting, but again, it weighs about as much as a feather. 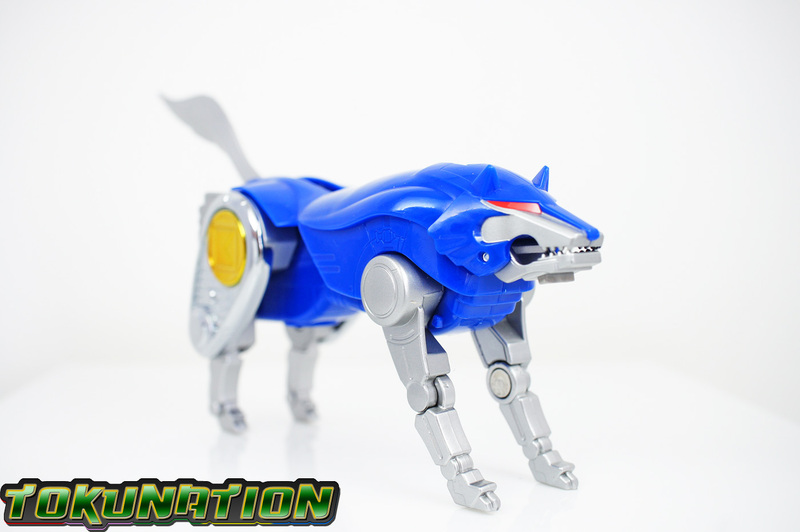 The wolf zord weighs more. 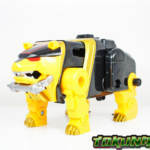 That probably helps in Megazord mode with stability, but it really, really cheapens the feel of the Bear Zord. My second favorite of the group. The amount of articulation in the legs is just sick (in a good way). The mouth opens! 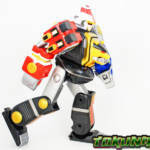 The way they engineered the legs gives your Megazord a ton of leg articulation, with full leg rotation and a knee to top it off. The front legs of the frog have articulation at the ... hand ... part. The best part? 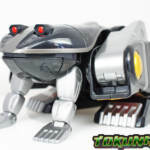 When in Megazord mode, you can remove the frog's front legs to be able to get more range in articulation for the Megazord. Winning! Wow. Just wow. In a good way - wow. 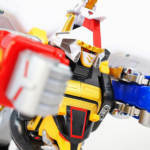 This thing has become my favorite Legacy release because of the Megazord mode. 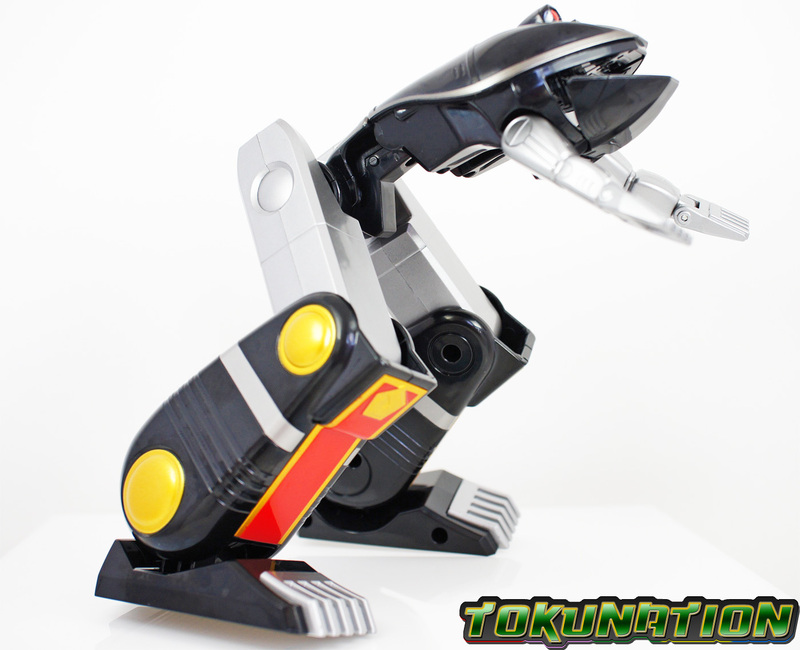 The arms move around fully, the legs have ability to move completely, and the Ape Zord has a sideways hinge (?) that allows for an arm bend (it makes the arm longer than the Wolf arm, but that's okay!). 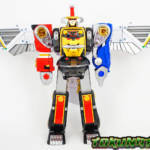 The head doesn't turn but it does have a ratchet joint that allows it to look up - which makes it perfect when you connect the Legacy Falconzord to the back! Now - the problems. 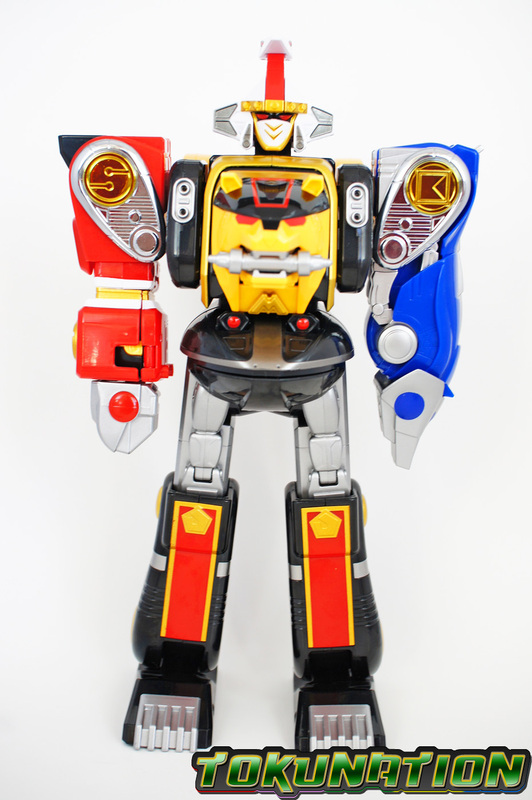 The Bear Zord being so flimsy means that when you go to move the arm, sometimes you move the whole shoulder. 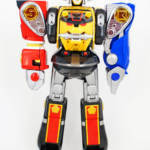 That gets really annoying, especially if you're trying to move it with the Falconzord attached - because of the connection method with the Bear Zord and the Falconzord. 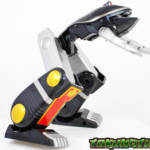 That connection is weak - it's two flimsy clips on the back of the Bear Zord that just "rest" in the ports of the Falconzord. 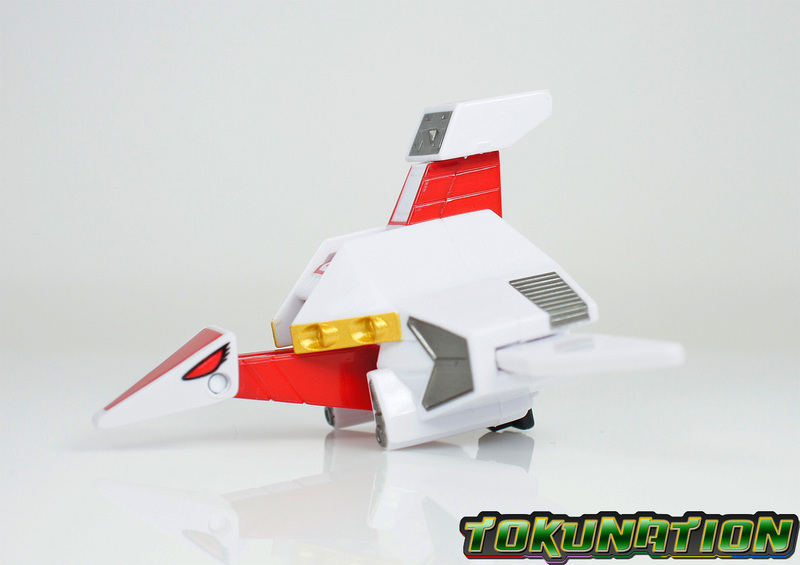 That means it is really easy to attach the Falconzord (you can literally just "swoop" it in for a connection), but it also means that a slight breeze from a window that catches the wing can knock the Falconzord, and thus your Ninja Megazord, off whatever shelf you have it on. 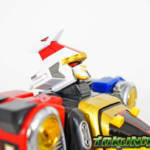 But the head rotating up with the arms out-stretched with Falconzord on the back? Epic. Simply epic. Sculpting & Detail .. wow! 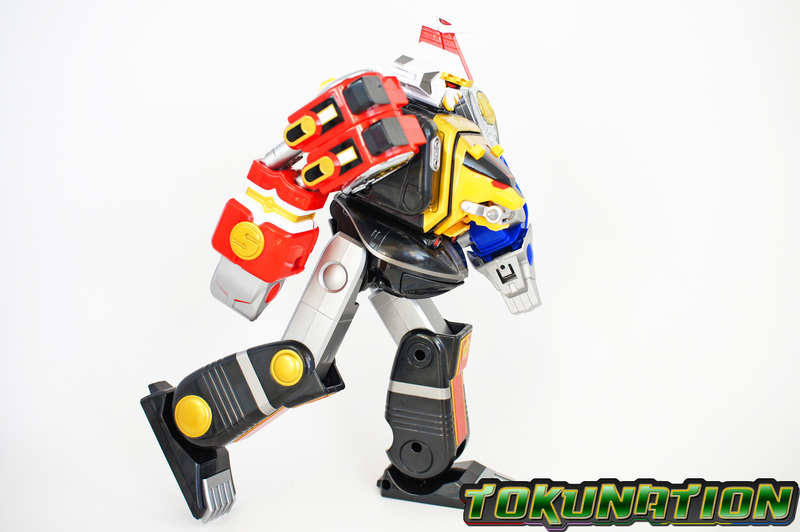 Added articulation in Ape arm and legs in Megazord mode, wow! 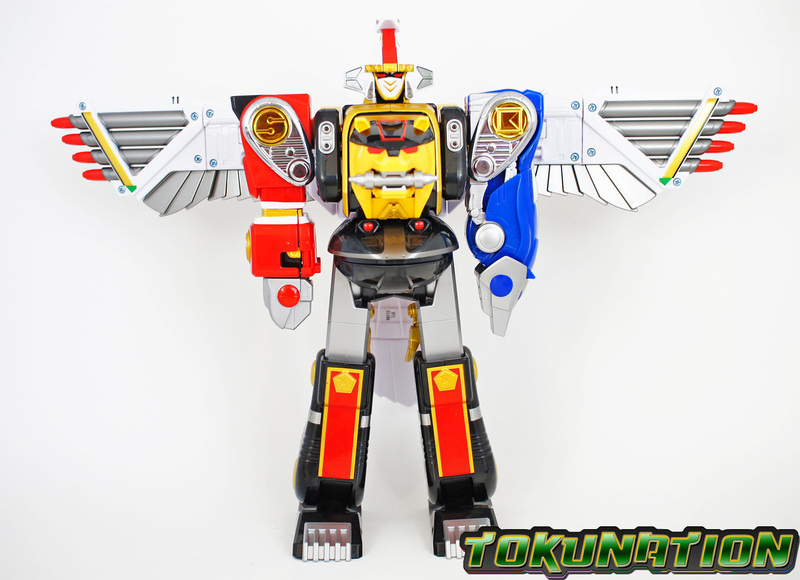 Ninja Mega Falconzord! Oh no, a sneeze! 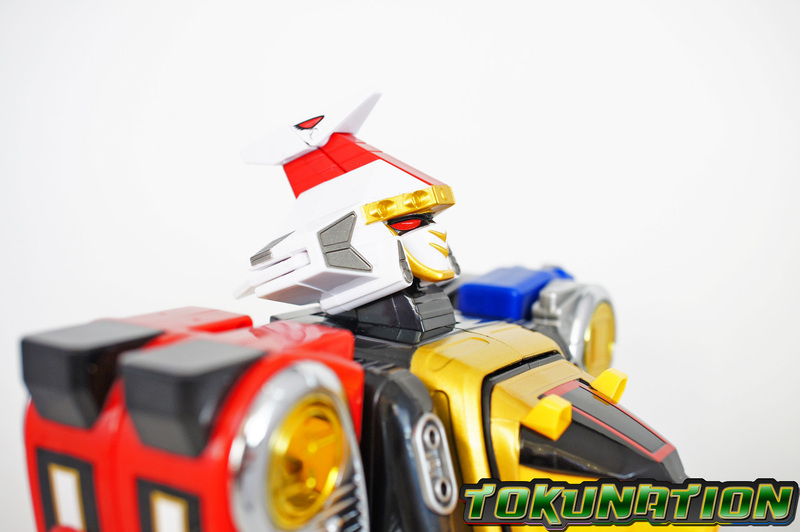 Falconzord, going down! Like with any Legacy release, there's always going to be some downsides. It's what we as collectors have come to do - find flaws even in near-perfection. And in my mind, that's what this piece is - near perfection. 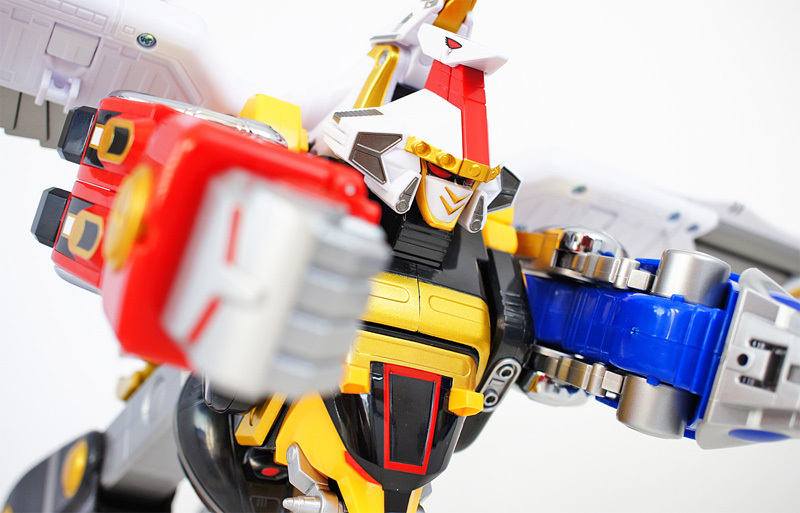 Easily my favorite Legacy Megazord release to date and easily the most beautiful to look at. This thing, if you're a fan of Mighty Morphin Power Rangers (especially season 3), you NEED this. You don't just want it - you NEED it - and shame on you if you don't go pick this up. 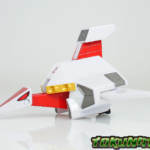 Get the Falconzord if you haven't - it's worth it. Price tag is a little much, but the detail of the figure makes up for it. 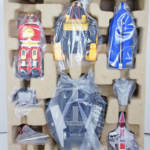 I don't have any buyer's remorse with this like I've had with previous releases in the Legacy line. I can't recommend this enough - go get it! The retail price is friggin' robbery, though. 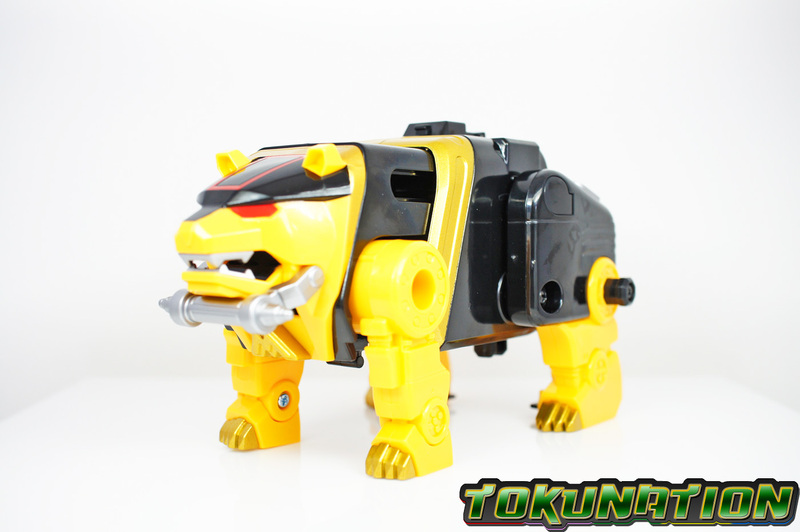 The Bear has always been the most useless of the zords though. They split. But they only have side to side joints in the hips...no forward motion. 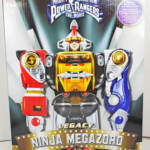 I think ball jointed hips for the Ape Zord and an elbow for the wolf Zord would have put this release over the top on best in show for the Legacy line. Aside from being, well, the center of the whole thing. It's a shame because I like the transformation and bears are typically useful in a fight.